This is a book which can be enjoyed by a really wide age group. 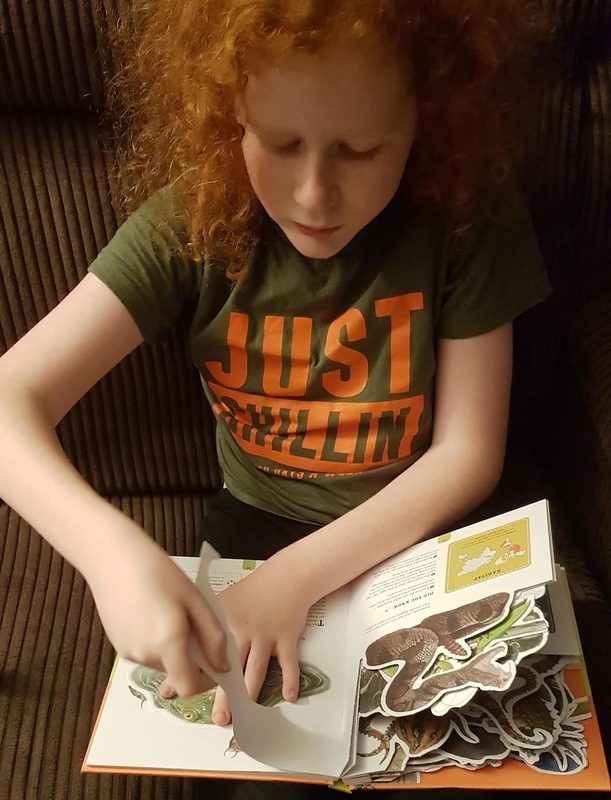 The text is suitable for independent readers aged around 7+, but it is presented in short text boxes and there are also a list of facts for each animal, so even younger readers can pick out salient points. The facts are fascinating and I've learned loads. The writing isn't condescending at all, so a 12 year old or older will also enjoy this book. 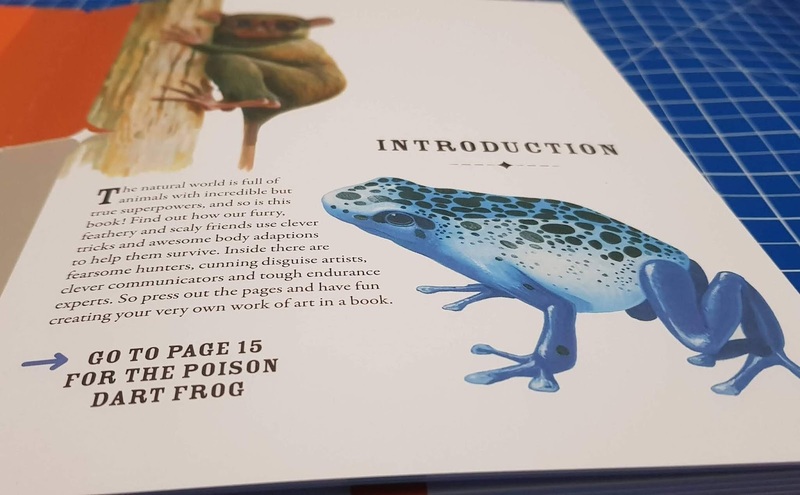 The illustrations are beautifully drawn, with slightly muted colours and a softness which makes even the Water-Holding Frog seem friendly and despite his coating of slime, not gross at all. 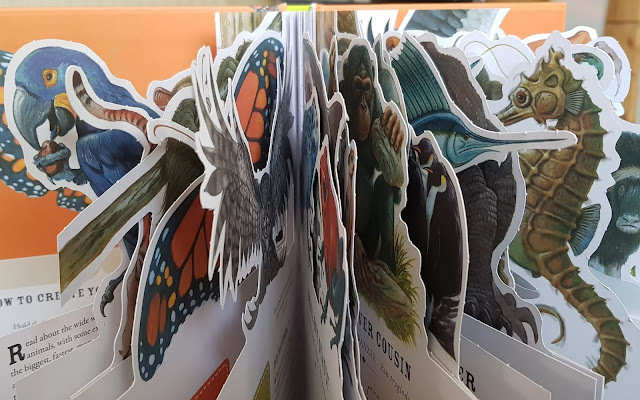 What makes this book special is that each double page has a tear off portion at the top, which reveals the animal's shape and creates an 'Animal Parade'. It works incredibly well and makes this a much more exciting book. Paperscapes: The Amazing World Of Animals is written by Moira Butterfield, illustrated by Stuart Martin and published by Carlton Books. It has 64 thick paper pages and is bound in excellent quality hardback. Released on February 7th and available to pre-order priced £12.99 rrp from all good bookshops, including online direct from Carlton Books or from Amazon (*aff). 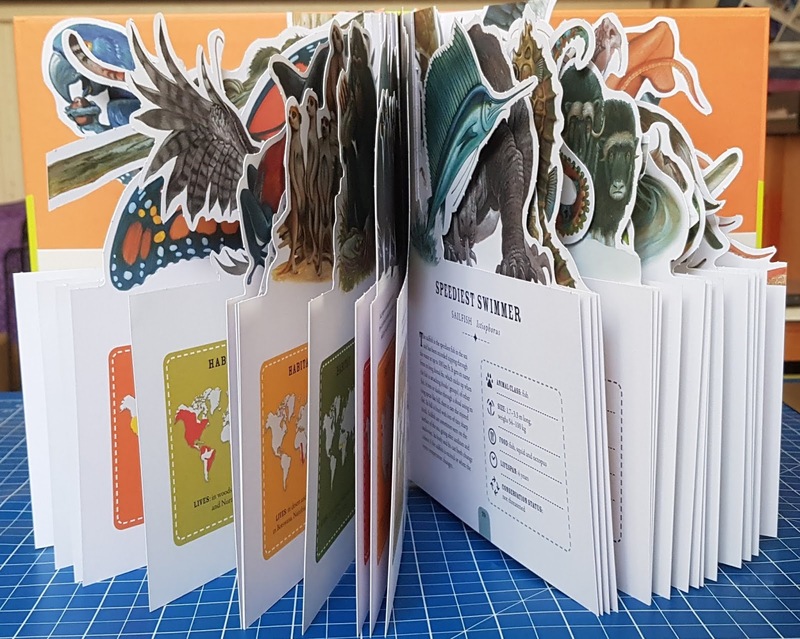 I have a chance for one of my readers to win a copy of Paperscapes: The Amazing World Of Animals. Entry to the sweepstake is by Gleam form below and the winner will be chosen at random. No entry is mandatory, but each extra task completed earns more entries into the draw. *Amazon links are affiliate, which means I earn a few pence if you order through my link as a thank you, but you don't pay any more. 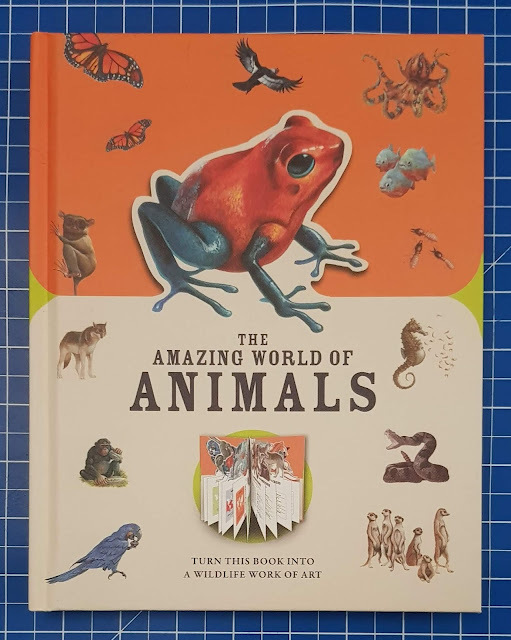 We were sent our copy of Animals: by Carlton Books for review. A tarantula spider can survive for more than two years without food. They used to cut off and sell Narwhal’s tusks claiming they were unicorn horns. Elephants are the only animal that can't jump. Sea otters hold hands when they are asleep to stop them from drifting apart. A housefly hums in the key of F! The blue whale can produce the loudest sound of any animal. Young goats pick up accents from each other ! Some species of the New Zealand weta insect (weta means God of ugly things in Maori) can survive being completely frozen. Squirrels plant thousands of new trees each year by merely forgetting where they put their acorns. Goldfish have a 3 second memory. Our year 6 teacher would tell us we were worse than goldfish when he got angry!! It is possible to hypnotize a frog by placing it on its back and gently stroking its stomach. Giraffes are the only animals who are born with horns rather than grow them! A group of flamingos is called a "flamboyance." Around 50 percent of orangutans have fractured bones, due to falling out of trees on a regular basis. Giraffes communicate by infra sound level, which is not audible to humans. A Rabbit's diet should be 80% hay or more. The proper name for a Llama is Lama glama. Sounds to me like they've got a good publicist who is trying to make them sound glamorous! The heart of a shrimp is on its head! cats wee glows under black light! Polar Bears actively hunt humans. The heart of a shrimp is located in its head! The heart of a shrimp is located in its head.